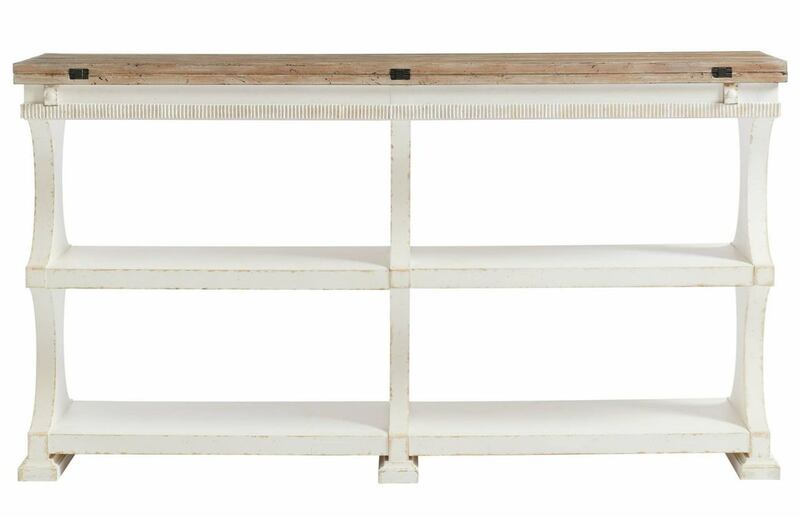 Loaded with utility, the Juniper Dell Flip-Top Table is purposeful in any room of the home. Two shelves are made more open by the cantilvered structure of the base. Wood supports pull out from the apron on both sides to support the fold out top. A subtle carved scoop handle along the short edge allows for the tops to be easily flipped out.